The crew at MYC would like to congratulate skipper Nick Halmos and co-skipper Hugh Piggin for finishing the 2011 Transat Jacques Vabre in 6th place, onboard their Class 40 Cutlass !!!!! 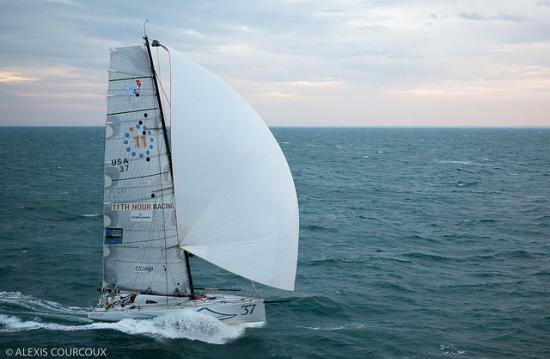 The TJV is a grueling double handed trans-Atlantic race from France to Costa Rica. Cutlass finished the race in 25 days – 8 hrs, sailing a distance of 5,427 miles. Cutlass received a refit at the MYC in the summer of 2011 prior to her trans-Atlantic delivery to France for the start of the race.